- Enjoy 30 days of Guild Attendance Rewards if you are a member of medium or larger guild. New Channel, Olvia-6, has been added. Fixed an issue where the character would not stop auto-pathing after changing the direction more than 45 degrees and entering directional keys. Fixed an issue where female characters’ Serendian Soldier Suit could not be dyed. Fixed an issue where it appeared like the character is holding two Harpoons when moving while holding a Harpoon. Fixed an issue where the characters appeared as still dead even after reviving. Fixed the graphical glitch when lying down on Frost Tree Bed. Fixed the graphical glitch with Clead Armour. Fixed the text error in the tooltip for Wailing Wind. Fixed an issue where the MP recovery in Regeneration did not work properly. Using Blasting Gust after switching from Kamasylven Sword to Longbow while moving forward has become smoother. W+F will not activate Titan Step anymore. The issue where the “falling” animation after Giant Leap still continued when the Berserker’s altitude is low has been improved. The video of Void Lightning I has changed. Fixed the graphical glitch with the Valkyrie’s hair when wearing the Jousting costume. Using Blind Thrust consecutively will not reset the cooldown anymore. Fixed an issue where the Musa/Maehwa could not use Absolute: Charged Stub Arrow during the cooldown for Stub Arrow II after learning both skills. Basic AP at level 60 has increased by 17. 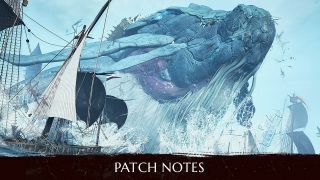 - PvE damage has increased in accordance with this change. - To keep PvP damage same has before, PvP damage has decreased by 6.5%. Fixed an issue where the graphical effects from General Apricot did not disappear after switching to non-combat stance. 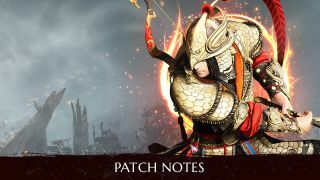 Fixed an issue where the Maehwa could not use Absolute: Red Moon after using Slice 3 times. The video of Tenacious Edge has changed. Graphical effects of Blizzard and Meteor Shower will be centered around the Wizard/Witch’s main target. Fixed the bug in the customization menu. 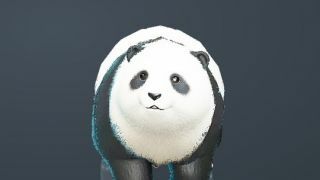 Fixed the graphical glitch with Mini Puff. Fixed an issue where pressing Shift+W after certain skills activated Ghost Step. The videos of Corrupt Sword Dance and Sudden Decapitation have changed. New Skill, Spirit Absorption, has been added. - It is a passive skill automatically acquired at level 15 that increases max MP by 150. 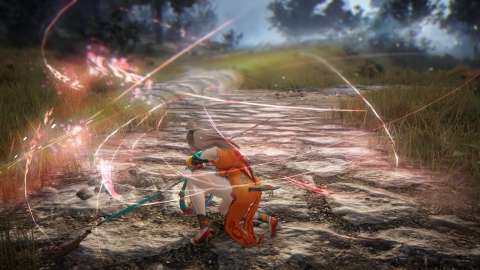 The following skills will now decrease enemies’ MP/SP/WP by 5 per hit instead of 10. - Enemies’ MP/WP/SP -5 on every good hit of Dragon Shatter. Fixed the graphical glitch with the Lahn’s sword when repairing the weapon. 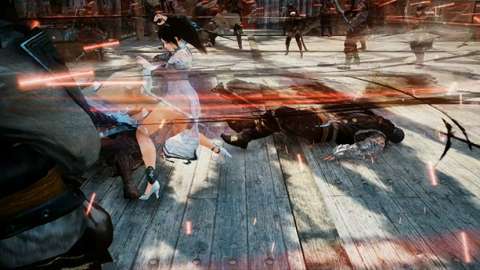 Fixed an issue where the Lahn did not blink in non-combat stance. Fixed an issue where the Lahn’s sight did not follow the camera angle. Fixed the graphical glitch with Sky Clam Hammer. Fixed an issue where the Attack Speed increase from Liverto weapon and Lemoria Armor was not applied to the Lahn. Fixed the graphical glitch with Venecil Dress. Fixed the graphical glitch with Taeguk Tattoo. Fixed an issue where the following items’ descriptions regarding Enhancement were in different colors than other items’ descriptions. Colors of buff icons for food buffs and elixir buffs will now be in different colors. - Elixir buff icons will be purple. - Food buff icons will be yellow. The duration of the following items has increased to 5 minutes. The following items will recover 2x more mount HP. - Carrot, High Quality Carrot, Special Carrot, High Quality Carrot Juice, Special Carrot Juice. 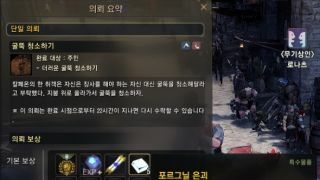 - The items will still recover the same amount of mount stamina. The following items will be account-bound instead of character-bound. Blue Awakening weapon boxes will not be bound anymore. Fixed an issue where numbers were not written on the buff descriptions for the buffs from the below items. Fixed an issue where the following items could not be used. 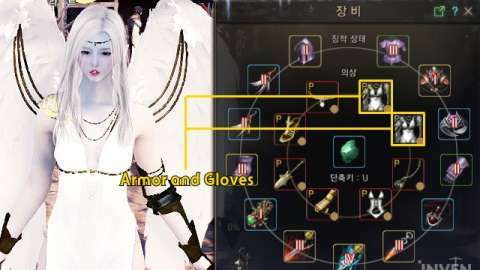 Crescent Pendulum and Ancient Sword (Lahn’s weapons) have been added in NPC shops. Black Stone (Weapon/Armor) has been removed from the following boxes, and Cron Stone and Memory Fragment have been added as new rewards. New item, Sealed Weapon Box of Offin Tett’s Light, has been added. - You can obtain an Offin Tett’s Light weapon that your class can use. Fixed an issue where Cheap Feed gave more pet exp than intended. Fixed an issue where you could not fish in certain pools. In Round 2 (1vs1 fight) of the Guild Battle, only the loser will be moved to the waiting room. - The winner and spectators will not be moved to the waiting room. - If the losing team chooses the next player, both players will be moved to the arena after a battle preparation period. - Both players will be moved to the waiting room if the round ends in a draw. In the Guild Battle, all summoned creatures (Keepers, Heilang, etc.) will disappear when each round starts. The Black Spirit will not be summoned during the Guild Battle. A new function where you can spectate the Guild Battle through the player’s perspective has been added. Fixed the animation glitch of Neurotic Cabby. New World Boss, Mirumok Destroyer Offin, has been added. - Mirumok Destroyer Offin will spawn in all channels except for Olvia, Arsha,and Patrigio. - Mirumok Destroyer Offin will spawn around 17:30 on every Sunday. - Mirumok Destroyer Offin will spawn in Mirumok Ruins 30 minutes after a notification message. - Interacting with Offin using Ancient Contract: Mirumok Watcher is impossible after the notification message. - If an Offin Guild Raid is going on before the notification message, you should finish the raid in 15 minutes. If you cannot kill guild raid boss Offin in 15 minutes, the raid will fail. - In order to kill Offin, you must destroy Offin’s roots first so you can attack Offin Tett. - You can exchange 100 Offin Tett’s Light Fragments with one Offin Tett weapon. - Other rewards include JIN/WON/BON Cobelinus, Valtarra Eclipsed Belt, Forest Fury, and Offin Tett’s Light Weapon Box. 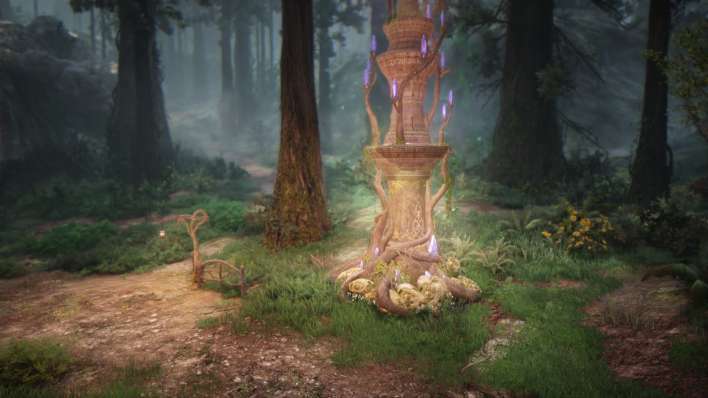 Poacher in Kamasylvia will only drop 1 Poacher’s Token. 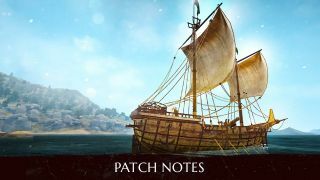 Kamasylvia Poacher’s HP has decreased by 75%, and AP has decreased by 25%. Drop rates of weapon boxes from World Bosses have increased by 50%. Lava Fafalun will give a maximum of 2 Sulfur Fragments. Drop rate of Scroll Written in Ancient Language has increased by 50% for the following monsters. A new quest where you can exchange 100 Offin Tett’s Light Fragments with a Sealed Weapon Box of Offin Tett’s Light has been added. - The quest is obtainable from NPC Dikzipo in Grana with a level 56 or over character that has 5 or more Offin Tett’s Light Fragments. Fixed an issue where auto-pathing during the quest “Shroud Knights Reconnaissance” led you to the wrong place. 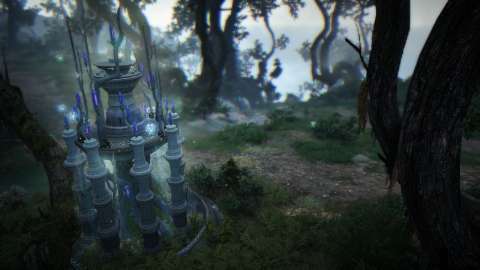 Guild Missions in Navarn Steppe and Manshaum Forest, Kamasylvia have been buffed. You will be moved to Ancient Stone Chamber when you resurrect or escape during the quest that will make you teleport to Ancient Stone Chamber. The area where you can summon Org during the main quest [Boss] Org the Greedy has decreased. The order where the following Black Spirit quests appear has changed. Fixed the abnormal location of Atui Balacs, the Trade NPC in Sand Grain Bazaar. The conditions to watch story cutscenes again have changed. 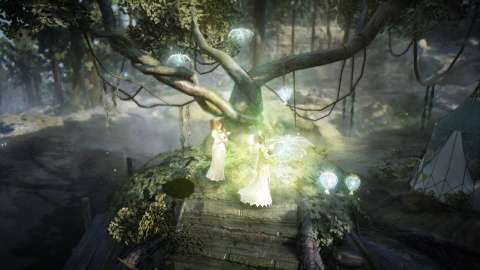 - You must complete the quest that will follow the quest that involves a cutscene. Fixed an issue where changing the amount of an item when buying Pearl items opened the Coupon Book. Life skill ranking UI has changed. - You can check your ranks in all skills at once. Fixed an issue where directional keys did not work in the Conversation screen. Fixed the graphical glitch with the mini map near Velia. Fixed an issue where system messages would not appear when Alchemy failed. The lag that occured when buying or searching for items in the Pearl Shop and the Marketplace has been reduced. It looks like there are a couple of events going on as a thank you for playing, but I didn't quite understand them. One of them gives you a box with boss gear if you log-in between a specified space of time in the 1st? Is that correct? Anyway, I really love the job you guys do here, thanks for this. That is correct! You can buy a "Thank you Box" on Jan 1st (between 19:00 to 22:59) with 1 Mileage point and the box will give you one of the following items: Nouver, Kutum, Kzarka, Dandelion, Red Nose Armor, Tree Spirit Armor, Giath Helmet, Griffon Helmet, Bheg Gloves, Urugon Shoes, and Muskan Shoes. The event is only for the kr server right? 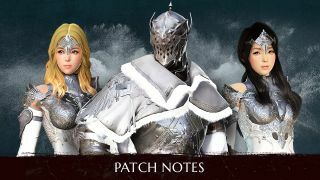 Any news when Pearl Abyss plans to Nerf striker/mystic/dark knight? I hope they focus on the balancing early on rather then having to wait a full year. Wait where's the info on this new boss weapon? Is this like an alternative to Kzarka weapons or what? Is it just a blue weapon? I know it's yellow, but I don't know how it compares to Kzarka. Hello, but there is some information about Weapon Box of Offin Tett’s Light? still sorc untouched.. no buffs no nothing.